Ten years worth of advanced American technology could pass from the United States to China if the sale of A123 is allowed to go through, Fox News reported. A123 filed for bankruptcy in October 2012 after receiving nearly $250 million from American taxpayers. Wanxiang outbid three other companies in an auction for A123 in December. Renewed concerns come one day after President Obama in his inaugural speech spoke to the need to keep advanced technology here in the U.S.
"We cannot cede to other nations the technology that will power new jobs and new industries—we must claim its promise," he said. If Obama wants to keep this word, his administration will have to block the sale to Wanxiang, Rep. Marsha Blackburn (R-Tenn.) said. As previously reported by the Free Beacon, China’s military could reap enormous benefits from the sale. National security officials say the sale could threaten the security of U.S. electrical power and communications grids. 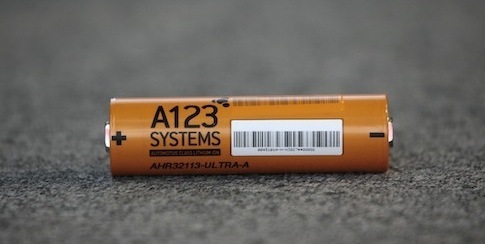 A123’s bankruptcy has harmed other government-subsidized companies, including Fisker automotive, which used A123’s batteries in the production of its luxury electric car. This entry was posted in National Security and tagged A123, China. Bookmark the permalink.